Tyresö is a county close to Stockholm city. 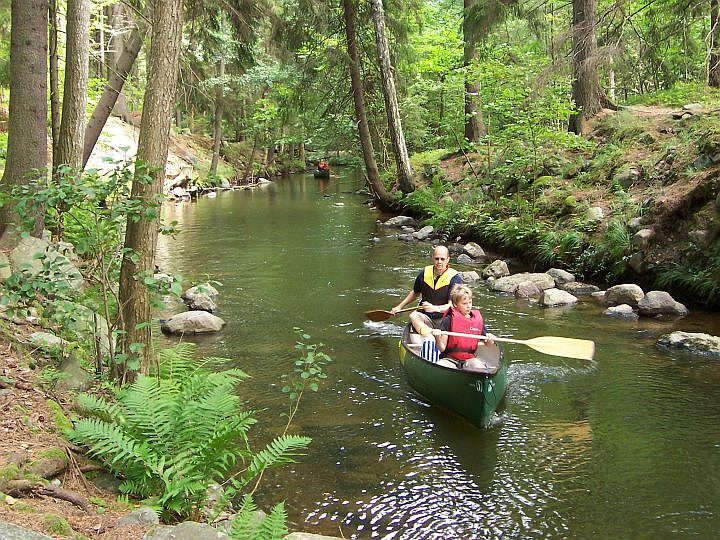 Tyresö is situated to the coast of the Baltic sea, southeast of the center of the Swedish capitol city. 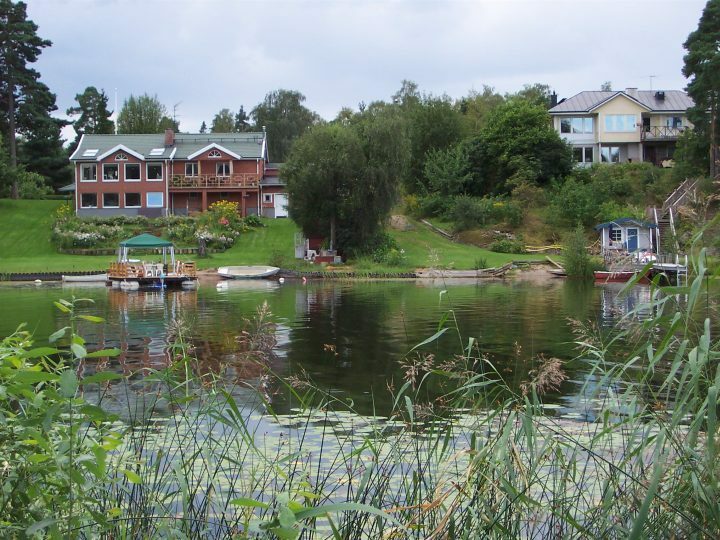 Stockholms sits as a lock on the large lake of Mälaren, but the countys south of Stockholm has most of its waterways and streams ending in Tyresö. All that water and the possibility of waterpower was realized early and the king Gustav Vasa (1523-1560) started the first waterdriven factories for gunpowder and canons in Tyresö. 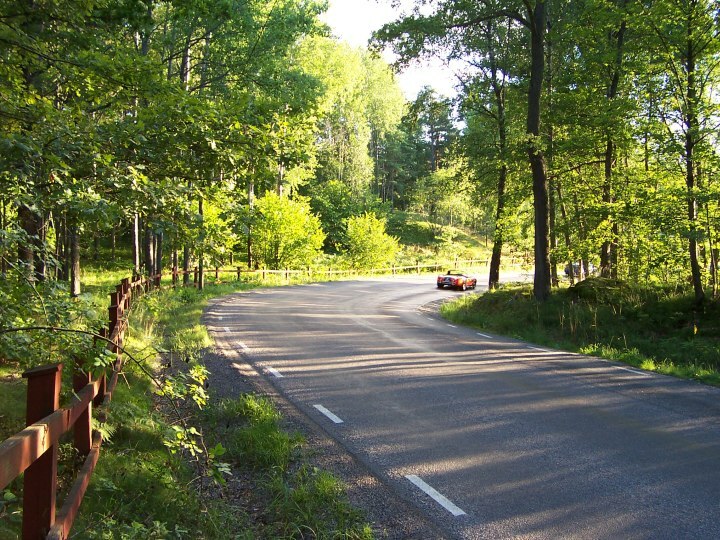 Just fifteen minutes by car from the center of Stockholm, you're thrusted into small winding roads in a rural landscape. Its like taking a step back in time. 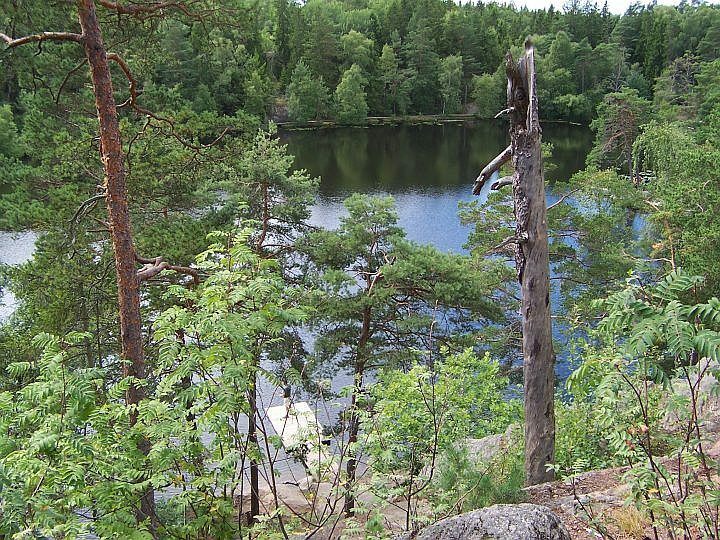 Tyresö is divided by a series of lakes, south of the lakes there is mostly woodlands and they form a part of the national park of Tyresta. Parts of Tyresta has never been exploited by man and nature have had the opportunity to run its own course since the last ice age. Tyresö is a small county, just 37.000 inhabitants and 7100 hektars in size. (hektar is 100x100 meters, in all about 27½ square miles). Tyresö is situated to the coastline to the Baltic sea and has residential buildings along the sea edge and the peninsula. The lakes are connected throught streams that are used for recreation and the county has provided with walkways adjacent to the streams. 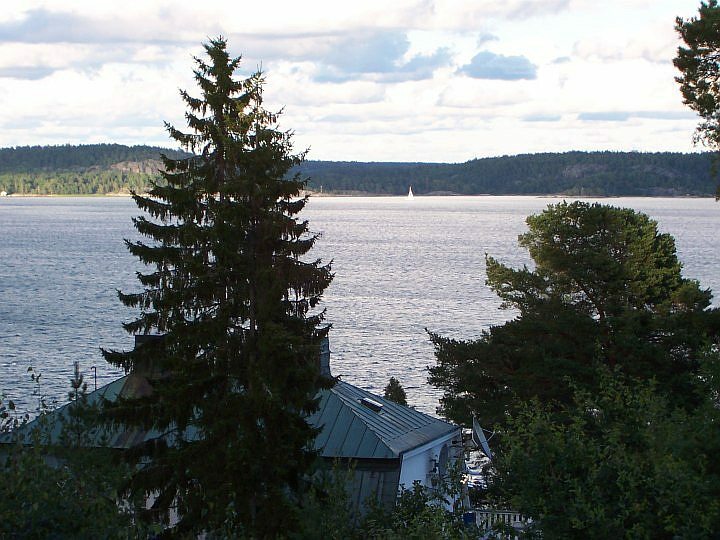 Many houses has a spectacular sea view out on Erstaviken (Ersta bay). The first private residential houses was allowed to be built on Brevik peninsula from 1904 by the last private owner of Tyresö, marquise Claes Lagergren. Marquise Lagergren received his titel from the Pope Leo XIII. 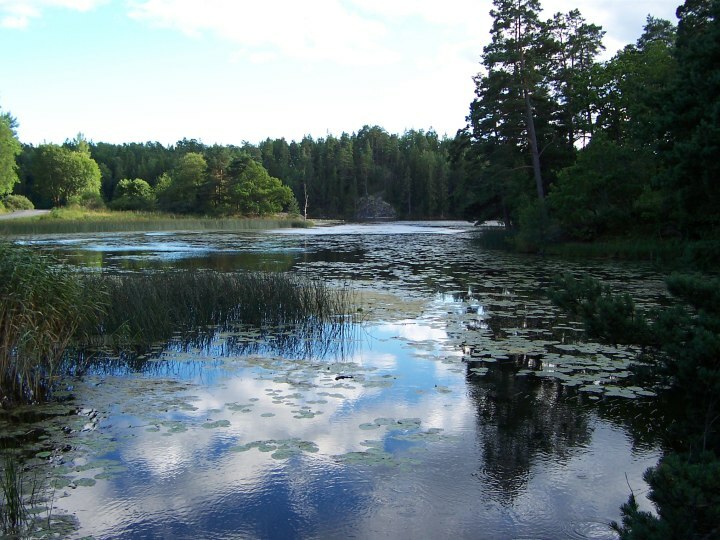 Tyresö has many small lakes, some are rich in water lilys and other plants, other are larger and has small beaches and recreational facilities. One of the lakes of the chain of lakes that carries the water to the sea, is lake Alby. 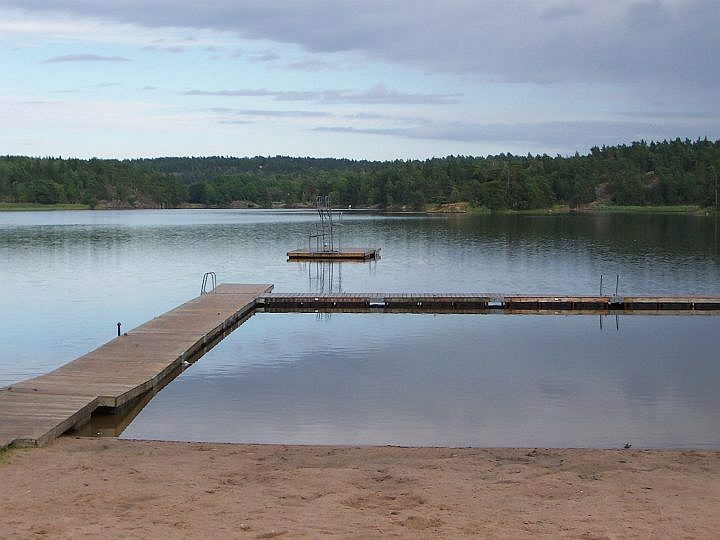 Lake Alby is a popular place for outdoor activities ranging from skiing to swimming. The picture was taken just when the rain started. 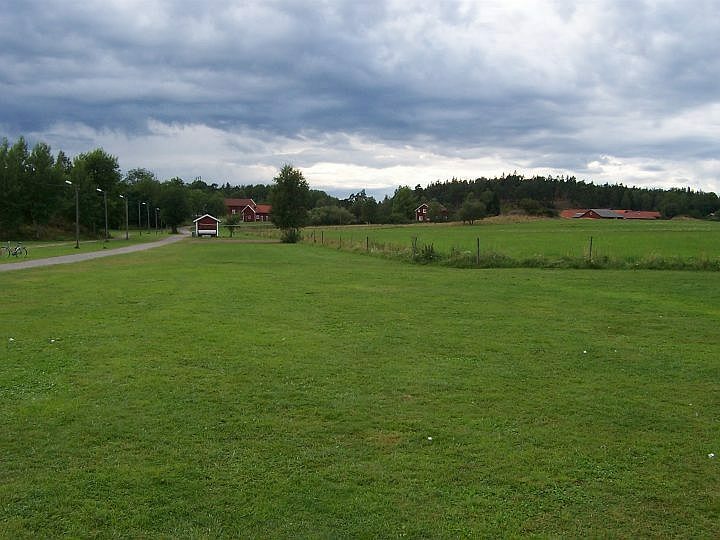 One of the few farms still in use close to the capitol city, Stockholm, is situated close to lake Alby. To the left of the farm is the county operated cafeteria. This is Barnsjön (childrens lake) a small lake in the middle of the woods. 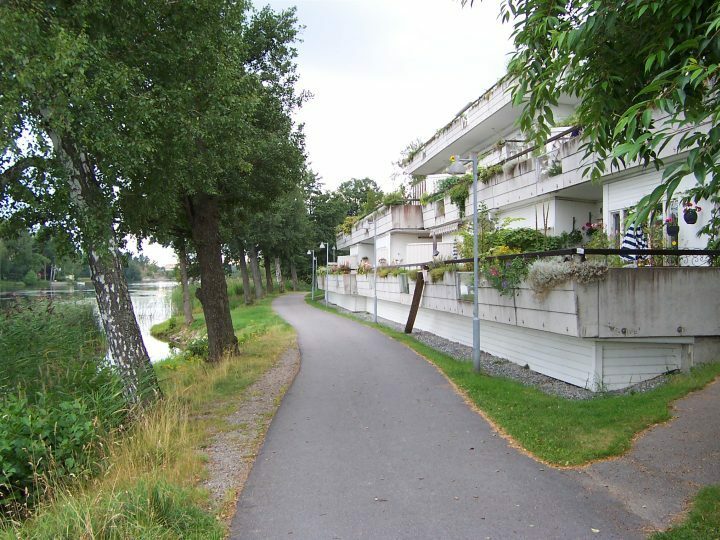 As its close to the Tyresö centrum and the houses there, just a few minutes walk, it's frequented by people during holidays and evenings. If you go further into the woods you're soon in the National Park of Tyresta. All the water flowing out in the Baltic from approximately 19 meter above sea level made it interesting for water powered factories. One of the first places to have an industy was Follbrinkströmmen (Follbrink stream). 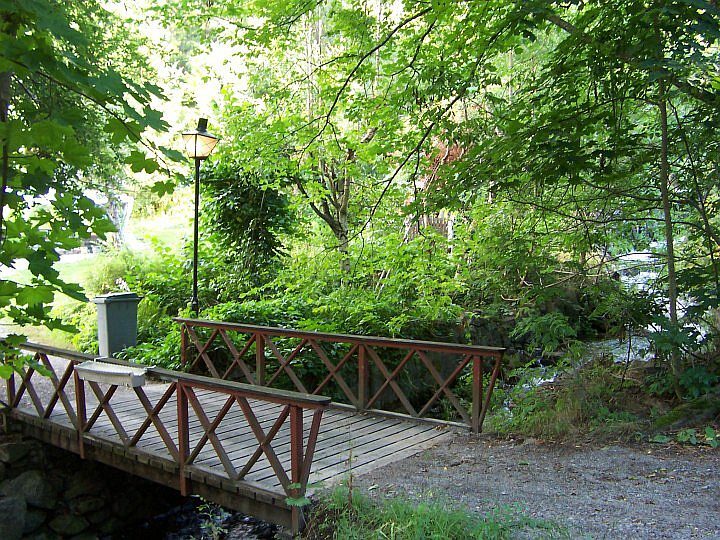 The first waterfall to produce electrical power for the city of Stockholm is situated in Tyresö, built in 1898. Several people live close to the old falls and rapids, like this property. On the road out to the peninsula Brevik stands the old church of Tyresö. 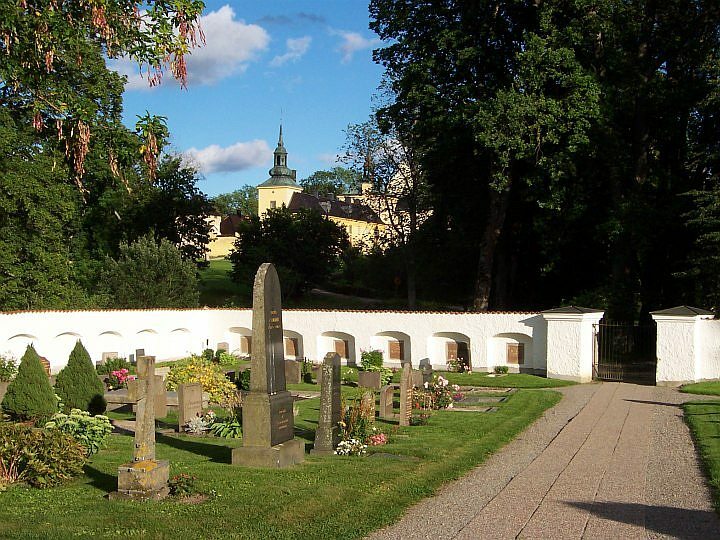 When king Gustav II Adolf (1594-1632) was buried, some of the funeral rites for the king was held here. The then young princess Kristina, who would later rule as queen was only 6 years old when participating during this cermony. The old cemetary of Tyresö next to the church. In the background you can see the castle of Tyresö. 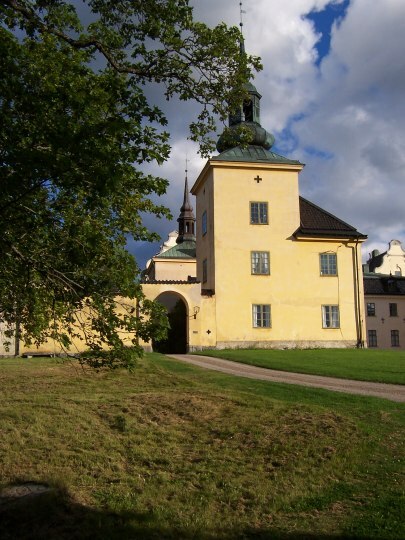 Tyresö castle was built in 1630 by Lord High Treasurer count Gabriel Oxenstierna which was one of the most prominent and influencal of the nobles in Sweden. Gabriel Oxenstierna was one of the members of the so called guardian cabinet, ruling Sweden until queen Kristina (1644-1654) came of age after the death of king Gustav II Adolf in 1632. Tyresö castle is only one of the castle built by Gabriel Oxenstierna, but most other castles was later rebuilt in Barock style. Tyresö castle is interesting as its preserved in its older appearance. 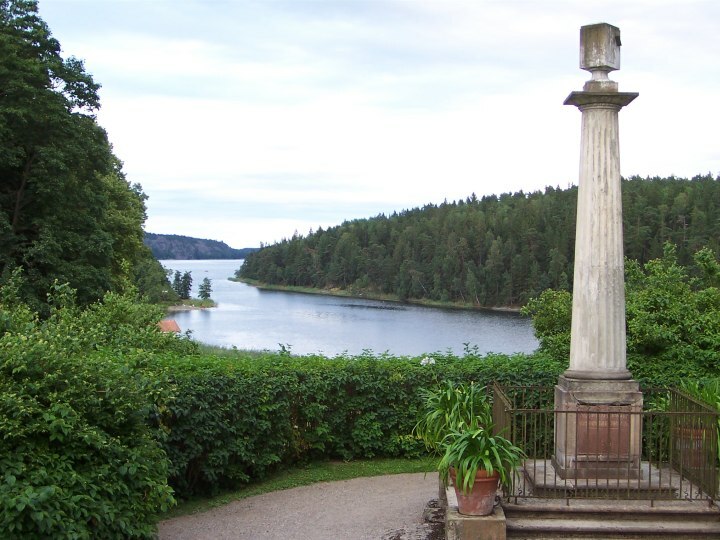 Tyresö castle is not a part of the Royal Palaces, its owned by the Nordic museum and holds exhibits regularly. 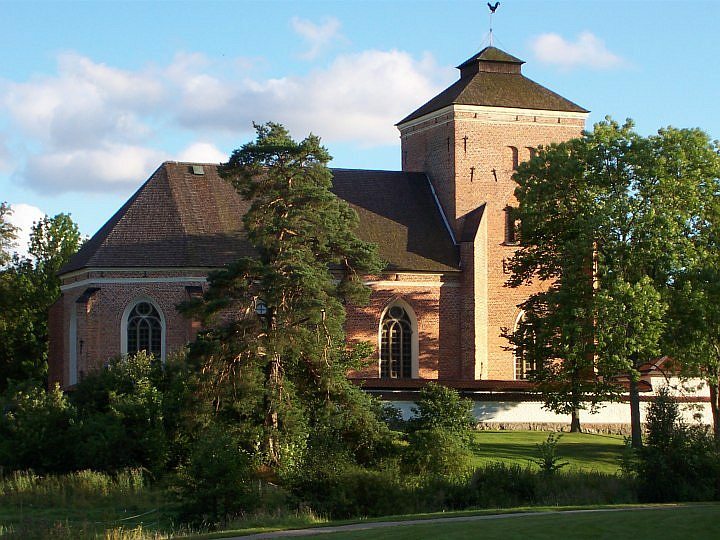 The Tyresö castle has a café and a restaurant in one wing. The entrance to the restaurant is interesting. Below the castle there is a park and several smaller houses belonging to the castle. One of them is used as a youth hostel today. That very same house was used by several members of the royal family like Prince Eugen and prince Waldemar as a resort in the country side. The beautiful location served as inspiration to their rural paintings. The view of Kalvfjärden (Calf bay) from the castle grounds. 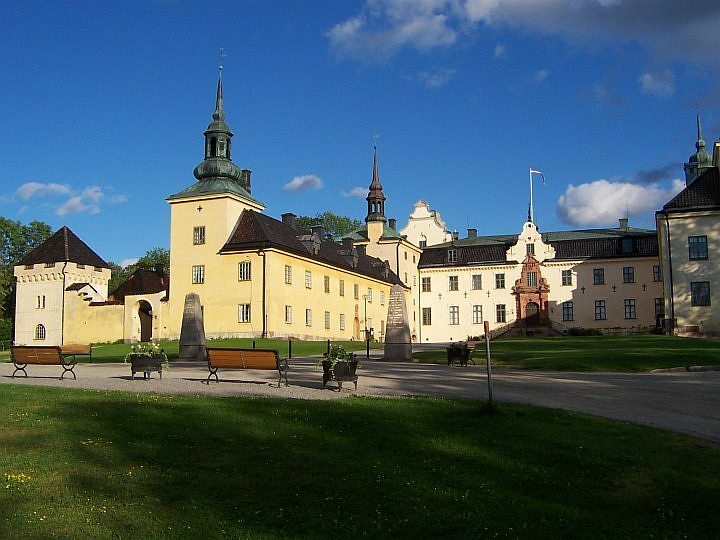 The castle park around the castle is the first castle park in English style in Sweden, and the park with its winding paths is still preserved. Some houses sits right at the water front. 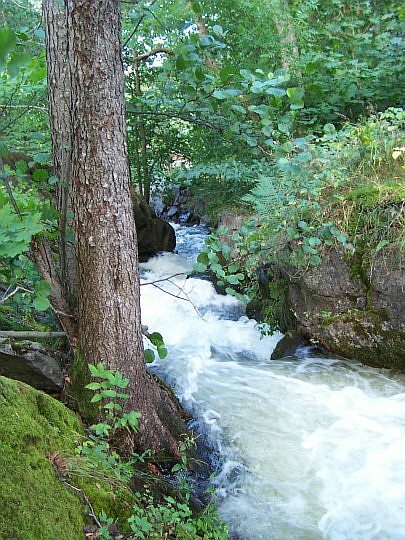 Picture of Persudde, near Trollbäcken (stream of trolls). Even apartment houses are built at water front property. 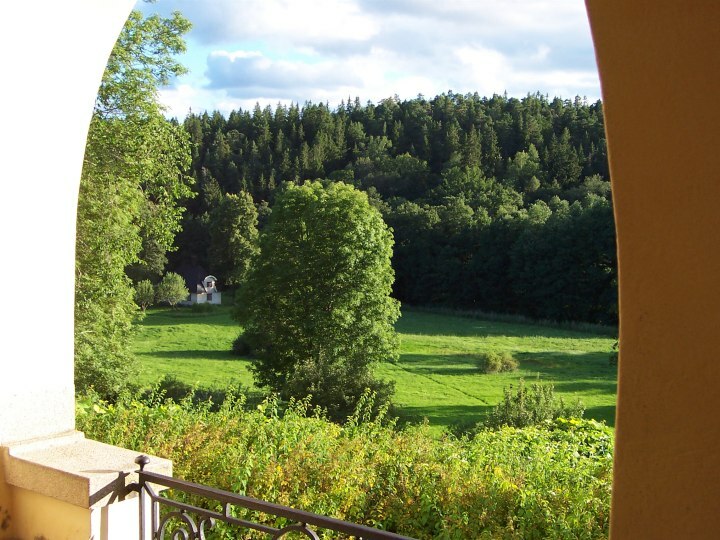 View of Gudö terrace. Former Swedish prime minister Ingvar Carlsson is one of its residents. 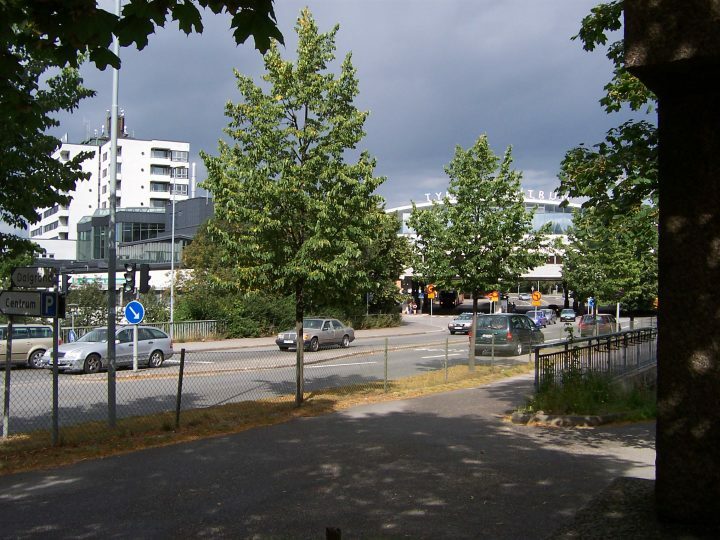 Tyresö centrum is where the most of the apartment houses are centered around and the city hall is at centre of the shoping mall there. Next to Tyresö centrum there is a monument few notices. Seen to the far right in the picture above. 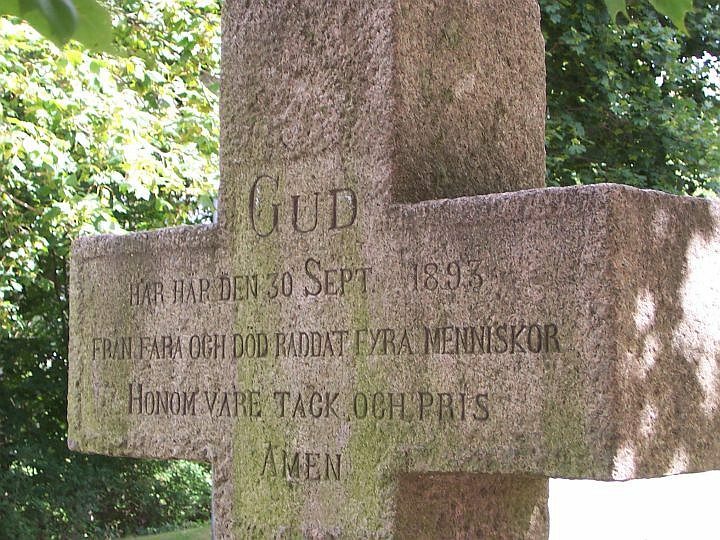 The inscription says: God has here 30 september 1893 from peril and death saved four people. God be praised, Amen. Some stories say that people traveling the road to Stockholm was saved from highwaymen, others claim that a carriage was overturned when the horses was startled, and the travelers miraculous survived the crash. 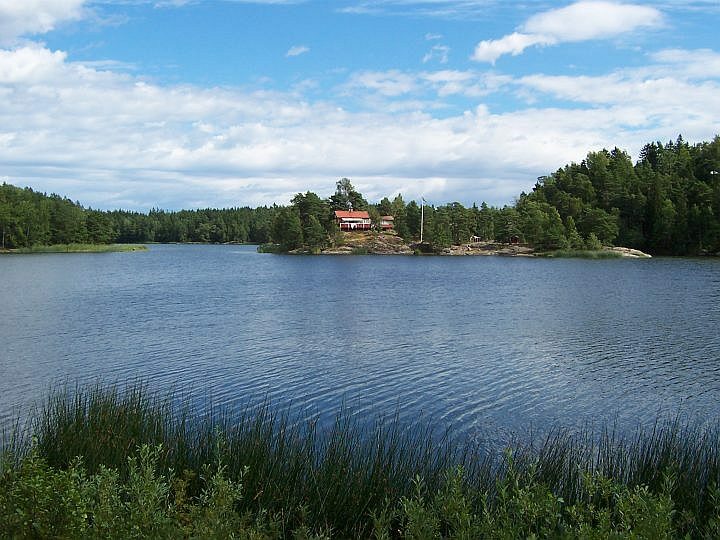 But to me, Tyresö will always be the little secluded house, right on the waters edge. 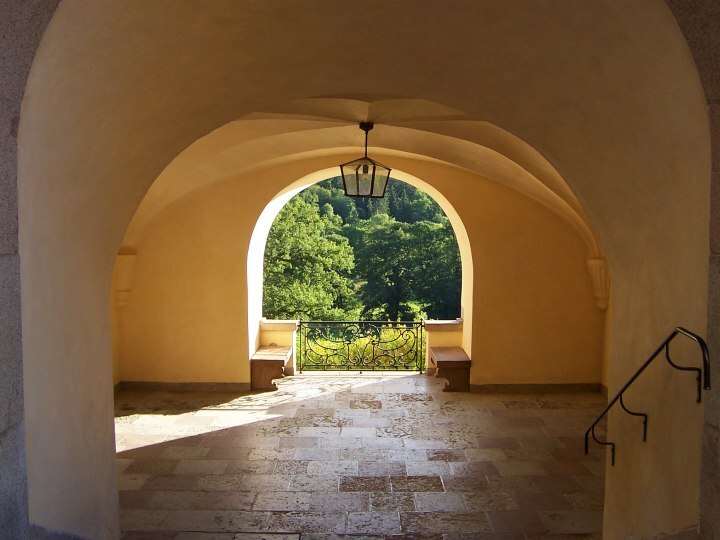 A place for dreamers, photographers and painters.